Mere weeks before Huawei is set to officially unveil its Mate 20 and Mate 20 Pro smartphones, which is taking place at a much-anticipated October 16 event, a stunning show-all video has revealed just how much of a threat the series could be to Apple's new iPhone XS and Google's Pixel 3 flagships. The video shows a Huawei Mate 20 equipped not only with a powerhouse hardware spec including the fastest mobile CPU in the world, the Kirin 980, along with 8GB of RAM and 512GB of internal storage, but also Huawei's "something new" square rear camera array. 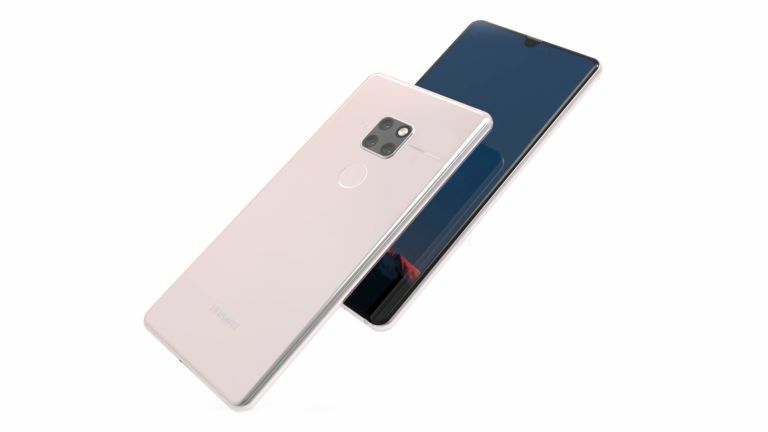 The Mate 20 and Mate 20 Pro follow the already released Huawei Mate 20 Lite, which is the entry model for the new series. The Lite does not sport the new square camera array (technically a "squircle"), nor the three lenses as depicted in the above video, which comes courtesy of mobile industry designer Concept Creator. And, judging from how Huawei appears to be throwing shade at Apple right now, most notably with its call out Tweet on the iPhone XS launch day, seemingly sarcastically praising its rival for "keeping things the same", it would seem that the Chinese maker is confident that the Mate series is going to change things up dramatically. All of which points to big cause for concern for both Apple and Google, who have a lot riding on the success of the iPhone XS and Pixel 3 flagships, and especially so after last year's models arguably did not sell any where near as well as either company wanted ideally. Huawei's Mate 20 series is slated to boast a "squircle" camera array with three lenses and an LED flash. A Huawei Mate 20 that looks this good, is equipped so potently, and delivers something that is genuinely new, too? And, furthermore, launches smack bang in the middle of Apple and Google's traditional sales Goldilocks zone? That could be a game-changing disruption that could genuinely shake up the mobile industry, and would almost certainly see the Mate 20 or Mate 20 Pro slide effortlessly into our prestigious best smartphones guide. We're excited and can't wait for the Huawei Mate 20 launch event on October 16. Join us then here on T3.com for the complete picture.